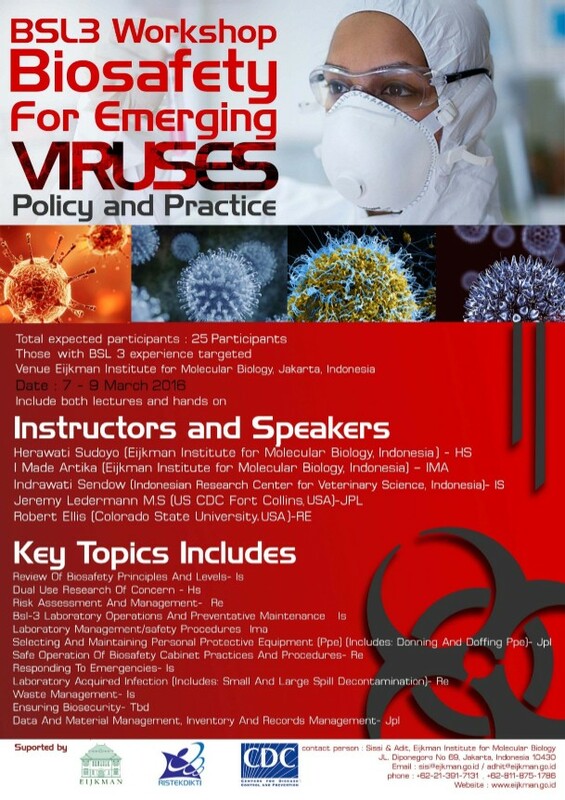 The Eijkman Institute for Molecular Indonesia and US-CDC Fort Collins organized a BSL-3 Workshop; Biosafety for Emerging Viruses: Policy and Practice. on 7th-9th March 2016 at the Eijkman Institute for Molecular Biology, Jakarta. The link will be available for 30 days starting from today (11th March 2016).